Several days ago, I walked around CET (Central East Tokyo) until I was worn out, with a red brochure in my hand, to see around “CET04” which was held for ten days in this area. About 80 places of vacant buildings dotted around in Central East Tokyo was provided to this event free of charge, and it’s impossible to visit all of them in one day. Those venues varied from extremely neat space which could be moved into immediately to incredibly old and elegant one (actually, there’s some shabby places). 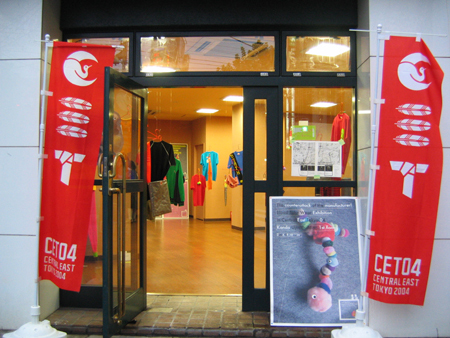 “CET04” is an art & design event that over one hundred artists hold an exhibition at these places in their own way. I’ll pick up the highlight of CET04 for you. This exhibition is “Blood Tube Wear” which aims to have a communication by wearing it. 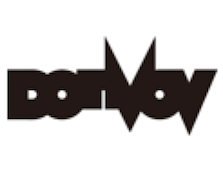 It is by “Blood Tube Group“, a unit working in various media such as graphics, fashion, visual and music. There’s a cute and pop space inside. Banners set up at the entrance is a mark of CET. 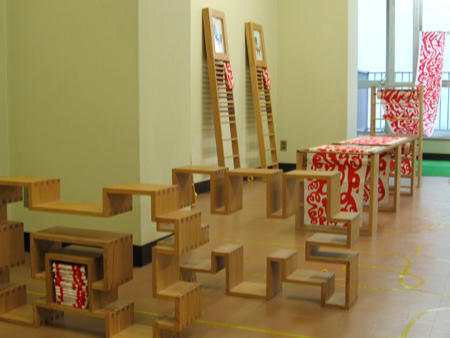 A visualer Kimiyoshi Futori exhibited a collaboration work with a company, dealing with fittings and Japanese towel. The theme is “route/root” The work is impressive with mechanical feeling like a belt conveyer and tender beauty of long Japanese towel. 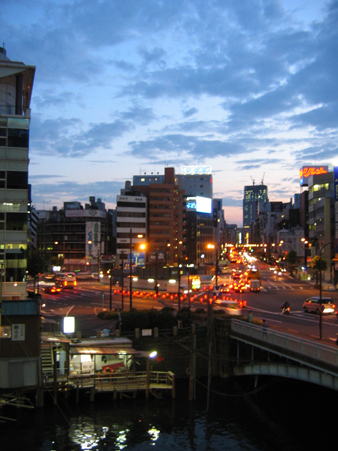 There’s a striking building “Daichi Kosuga Building” which enshrines at the intersection at Asakusa Bridge. Inside is as distinctive as the outside and there were wonderfully artistic works exhibited. It was a must-see place filled with works like a white chair wholly wrapped in beads by Flask, an interactive work made with UniteBows‘ pattern, and a drawing which consists of ovals by Nobuto Fukutsu. 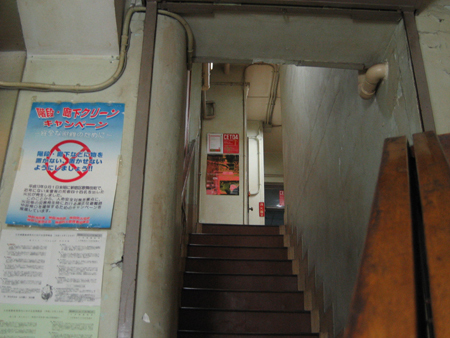 There was a place named “Moho Designer male dormitory (2)” with splendid member of Hiroshi Iguchi, Keiji ito, Naohiro Ukawa, Tsuyoshi Kusano, Tomoo Gokita, Naoki Satoh, Katsuki Tanaka, Ichiro Higashiizumi, Hiro Sugiyama and Hiroyuki Matsukage. (Unfortunately Koh Chihara was absent.) 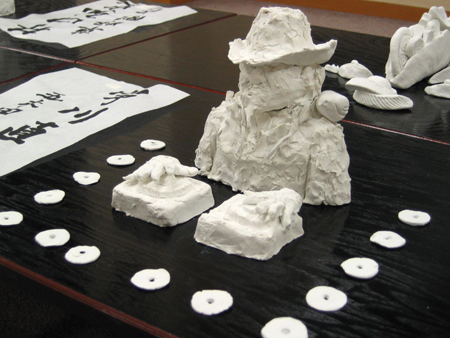 Following with last year’s “Drawing” at TDB-CE, they held “clay exhibition” this year. On the first day, everyone worked on it hardly. The most impressive work was “Naohiro Ukawa” created by Tomoo Gokita. Things on the shoulder is a quail’s egg. 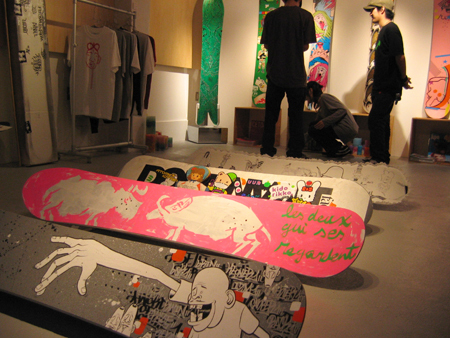 “Drive on Board 2004@Labline.tv“, an exhibition of paintings on snow boards by 13 artists was held at a gallery space in Kanda. Auction was also conducted, starting from 1 yen. How was the the highest bid…? 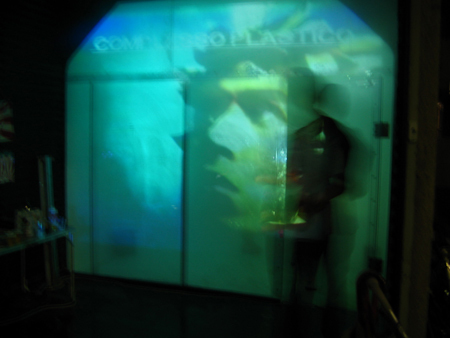 Legendary art unit “Complesso Plastico” came back to life only during the term of “CET”. 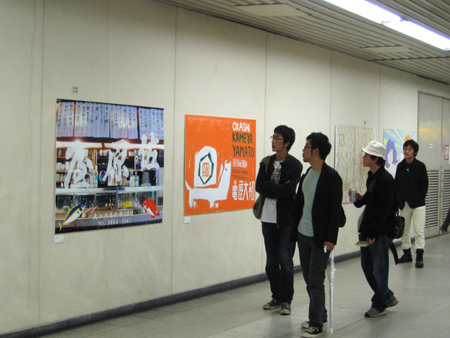 The title of the work was “Love and Onsen”. 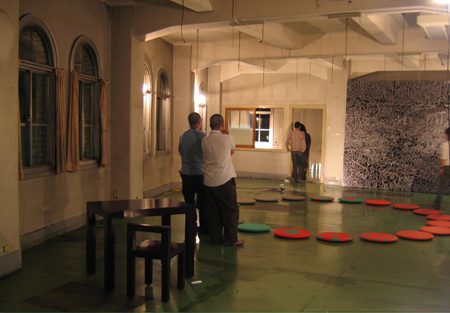 Even though many people came and got excited, on the last night, the installation was suddenly closed by the technical troubles. It was an attraction people can play with it. I feel pity people who couldn’t have a chance to experience it. It is an advantage of CET in which various things are mixed and happens simultaneously. I can’t think of any other distorted project which puzzle me like “Drinking Party Live Installation” produced by “m.magic.KOBAYASHI“. 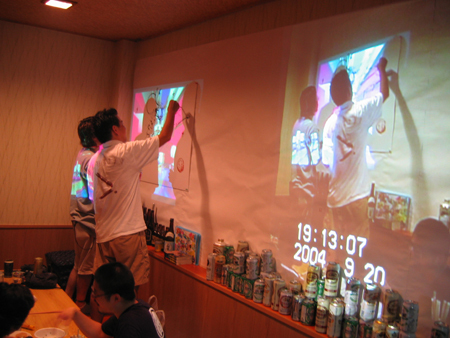 Both movies from the days during CET and real time movies from the live installation are projected on the wall of a Izakaya-style small room. Those fascinating works took viewers into chaos. DJing, VJing, live painting and Chanco Nabe… The photo above is from live painting by “YUTOONZ” (Imai Toonz + Yutanpo Shirane). Much of walking, seeing, drinking and eating. I thought CET was a fashionable art & design event but various kind of things was happening everywhere. It’s impossible to see all of them. I wish it had longer term and everything happened in more compact area..but just wishing is easy. CET is realised by a lot of support by people who loves this area. This situation is very dangerous. It could be a fatal issue of CET. I hope much more people know CET and join and enjoy it simply, not seriously thinking of “city regeneration” at first. Based on this, if we can look at the process in which the city is changing, it would be very precious experience. CET is a event with hidden potential triggering a new movement. 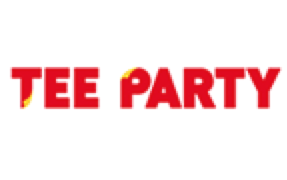 Why don’t you join this event next year? Place: Vacant buildings, vacant land, school, cafe/restaurant, and subway, etc… in/around Ochanomizu, Kanda, Akihabara, Bakurocho, Nihonbashi and Hacchobori. 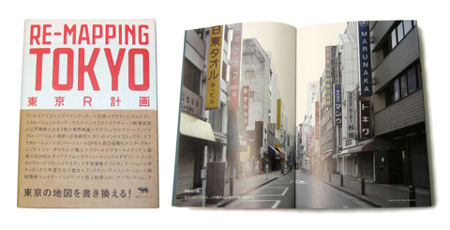 “Tokyo R Project -Re-MappingTokyo-” was published at the same time. 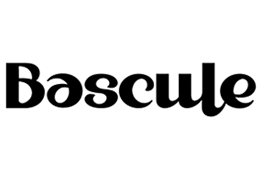 It features CET (formerly called “TDB-CE”) as well as including “a magazine produced by a designer”, “NEUT.005” (ASYL DESIGN) as one of the contents. 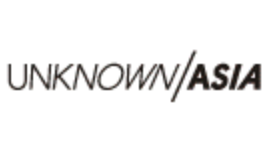 It brings you deeper understanding of CET whether you visited CET04 or not.